The F I Intra Prima flow meter operates according to the flap principle. The fitting contains a measuring flap which can be rotated around an axis. At rest (i.e. no flow), the flap closes the pipeline by its own weight. As soon as there is a flow, the flap is lifted depending on the flow velocity. The respective flow quantity can be read directly in transparent liquids from the position of the flap. The bottom edge of the flap is the reference edge. In turbid or opaque liquids, the movement of the flap is transmitted by a magnet mounted on the flap to an external mechanical pointer, and the flow is displayed on a scale. The scale and pointer are protected against external effects and contamination by a Plexiglass or glass pane. The scale has the standard dimension m3/h, and can be calculated for an application-specific medium and operating pressure/temperature if the density differs from 1 kg/l (62,43 lbs/cu ft). Special scales are available at extra charge. An inductive contact is triggered by a contact lug mounted on the pointer. 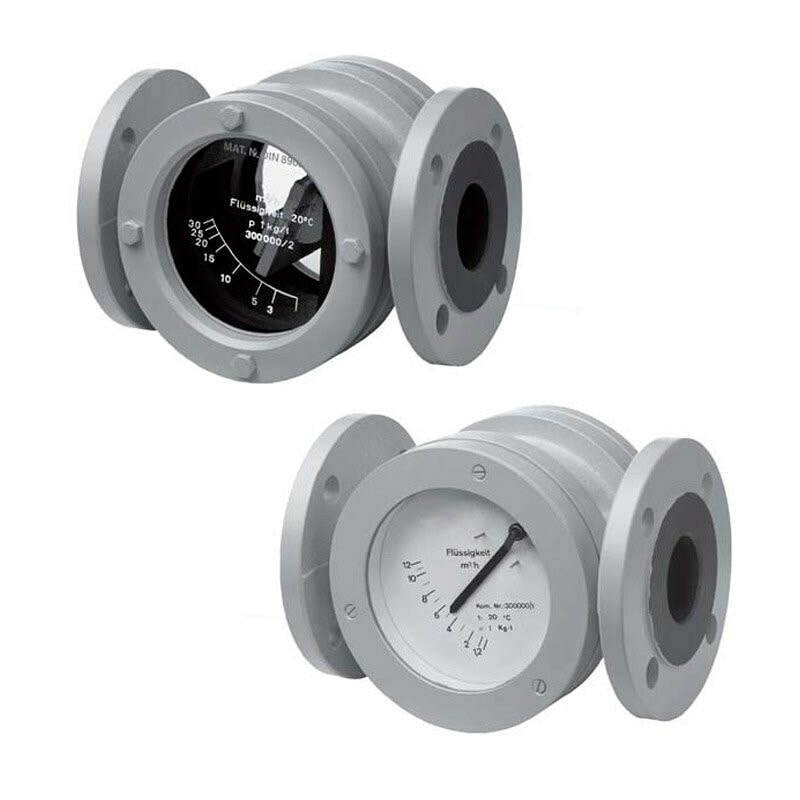 The F I Intra/Prima flap flow meter is used to check and display the flow of liquids in closed pipelines. The device can be optionally fitted with an inductive contact for remote transmission of switching points.